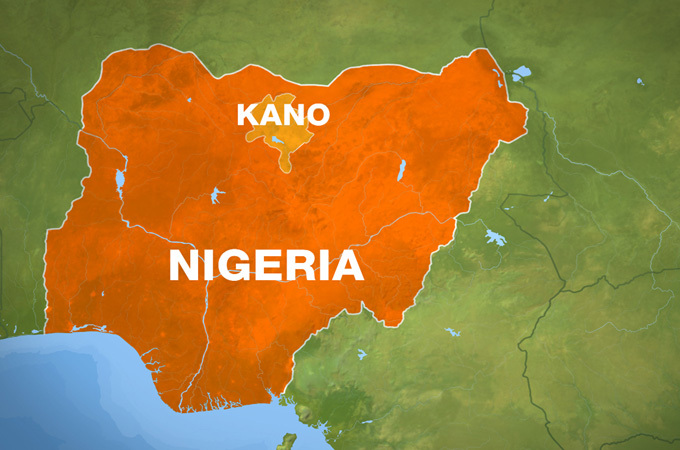 A twin suicide attack this week at a bus station in Nigeria’s Kano city killed 34 people, a union official said Thursday, giving an updated toll after police said 10 people died. Boko Haram Islamist militants have not claimed the blasts, but the group has repeatedly targeted Kano, including bus stations, throughout its six-year uprising. “The victims included 21 passengers in a bus that was about to leave for its destination, three of our members and 10 petty traders,” said Ahmed Saleh, of the National Union of Road Transport Workers (NURTW), who is based at the targeted Kano Line station. He said workers compiled the new toll after counting the charred remains of victims following Tuesday’s attack. Kano police spokesperson Musa Magaji Majia told AFP that the force’s official toll remained at 10 dead. Two men blew themselves up shortly after getting off a bus at the station, causing chaos at the station and scattering blood and human flesh around the site. Nigeria’s is struggling to control Islamist violence ahead of 28 March general elections. The vote had been scheduled for 14 February, but security chiefs pushed for a six-week delay, saying the postponement would provide extra time to weaken Boko Haram before polling day.